Welcome to 4-Legged Friends of Hagerstown, MD! Thank you for your interest and consideration in 4-Legged Friends Pet Services, LLC for your dog training & pet care needs. We here at 4-Legged Friends believe in treating your pet like our very own. We are committed to providing exceptional pet care when you can't be there. Whether you are leaving town, working long hours, or need help reaching your dog training goals, we have a plan that can benefit you and your furry companions. At 4-Legged Friends we work very hard to maintain our positive reputation in the Hagerstown area. 4-Legged Friends Pet Services, LLC is committed to effective, dog-friendly training methods. By utilizing the most up-to-date, scientifically based approaches to dog training we are able to meet client expectations and fulfill the training goals set by our clients. Positive Reinforcement, reward-based training is by far the best way to teach your dog new behaviors and is essential in forming a relationship based on trust and respect. ​Whether you are in need of pet care or dog training services call 4-Legged Friends Pet Services, LLC! 4-Legged Friends Pet Services, LLC is fully insured and is a proud member of various dog training and pet sitting associations. 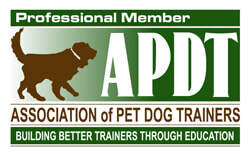 We believe that education is an ongoing necessity in the field of dog behavior and training, and pet care. Upon your request, we have several clients that would like to share their experiences with you. If you have any questions about one of our services or would like more information we would love to hear from you!